We are proud to present our very first BettyLicious swimwear collection. 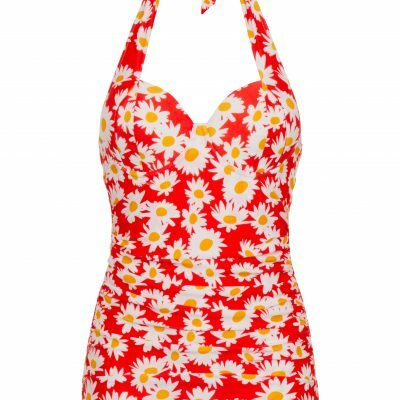 These underwired 1950’s style retro swimsuits in a cute daisy print are available in red, turquoise and green and provide ultimate bust support. These vintage style underwired swimsuits are exclusive to BettyLicious, of highest quality and hand sewn in a London factory. 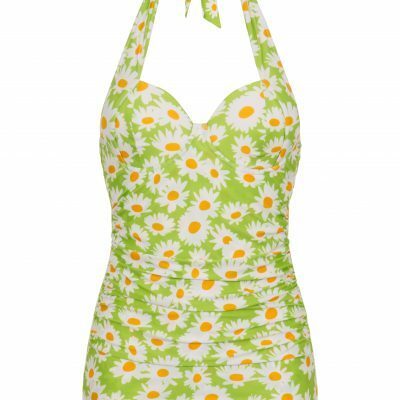 There are very few underwired 1950’s style swimming costumes out there and this is a real designer gem. 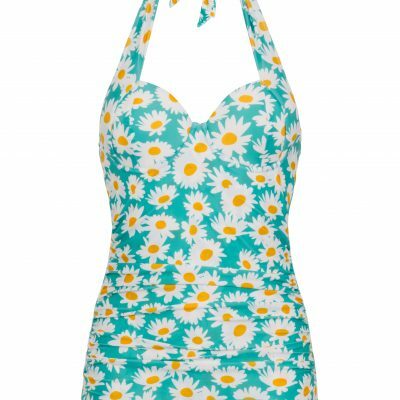 Providing ultimate bust support whilst maintaining their original 1950’s style these daisy retro swimsuits are the retro swimsuit of choice for 2018.